So states the foreword of the independent review into race in the workplace by Baroness McGregor-Smith. 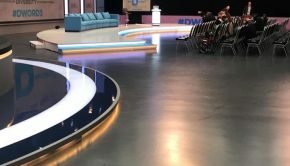 How far that aim is being achieved in the sports media industry – and how much more work is needed to realise it fully – is the focus of the D Word conference. Organised by the Black Collective of Media in Sport (BCOMS) and sponsored by FARE, the European Football anti-discrimination and equality network, the 2018 event was staged at the BT Sport studios in East London. Through a series of workshops, it explored the issue of diversity in all forms of sports journalism, with particular reference to gender, cultural background and disability. The problem is a lack of representation in the sports media which, in general terms, remains overwhelming male, white and able-bodied. Although no-one disputes the value of people from different backgrounds coming together to share their thoughts on diversity in sports journalism, there was a sense at D Word 3 that progress remains painfully slow. Simon Green, head of BT Sport, spoke about his experience of being a panellist at last year’s event and reflected on some of the criticism he received. He stressed, though, that this did not have a negative impact on him; rather, it made him more aware of the passions surrounding diversity issues within his industry. Deputy Mayor of London for social integration Matthew Ryder spoke about the importance of diversity, mentioning his brother, a journalist, who has worked alongside Sir Lenny Henry on research into the topic. No-one at the conference doubted the importance of workplace diversity as a reflection of wider society, but many took issue with Green and his fellow sports media bosses about how much is being done to achieve it. Emotions ran high at various points as people criticised the senior industry figures gathered for not utilising their power and influence to change things more swiftly. 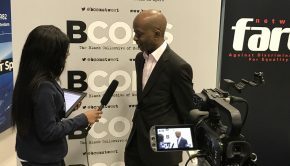 Steven Smith, director of content, production and operations at Sky Sports, claimed that representation of black and minority ethnic (BAME) groups, women and disabled people has improved over the past four years – albeit from an extremely low historical base. Seeking greater diversity in any workforce is key to giving people the chance to achieve something big in their lives, regardless of gender, cultural background or disability. The conference’s ‘Going Digital’ workshop showed how better progress on diversity is being achieved via new media platforms, but there was little discussion about disability. Perhaps this is why Dr Jacco van Sterkenberg’s talk on the media reinforcing stereotypes was so stimulating. Disabled people suffer from the stereotyping, and this in turn prevents them from achieving their full potential in the workplace. 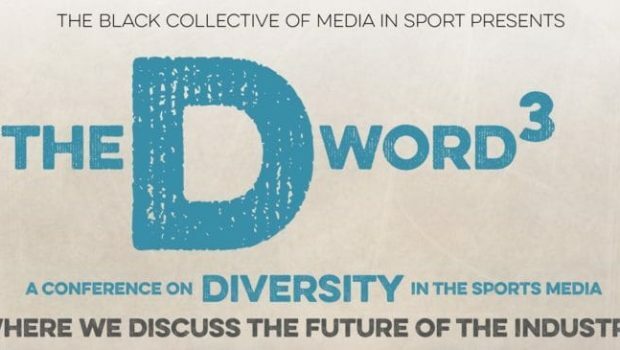 Hopefully, the next D Word conference will have some positive news on progress in this and other aspects of making the sports media more diverse.